The days leading up to the race probably weren’t the most ideal. I had a short timeline on a project due at work that kept me at the office for some long days. I was stressed and tired, and not able to fit in my final few taper workouts. 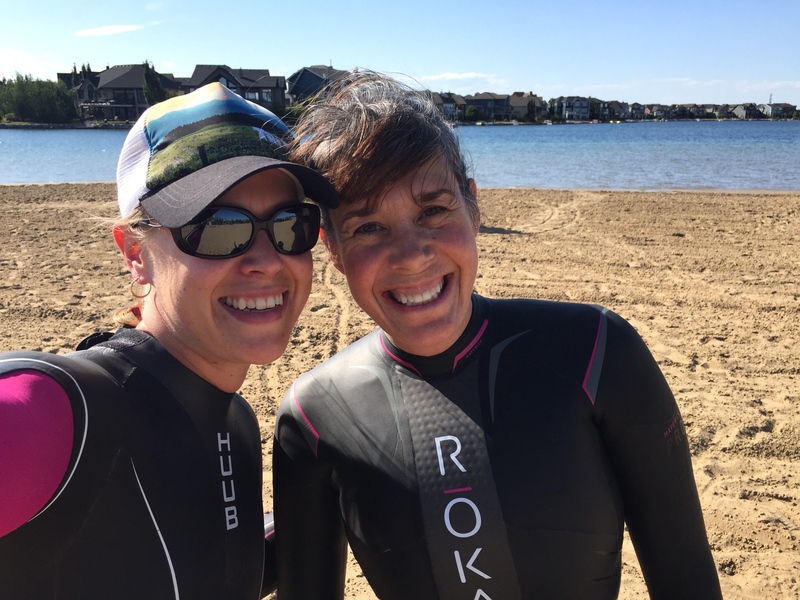 Luckily I was able to get away from the office at a half decent time to meet my friend Tara for a quick open water swim at Auburn Bay on Wednesday. I’ve never swum here before but the lake was beautiful and warm. The water remains pretty shallow for a ways past the beach so this was a good opportunity for Tara and I to figure out a strategy for managing that. Do you run or do you keep swimming in really shallow water? When we tested each option out they took about the same time but running in shallow water was really tiring! To gain a little motivation and inspiration in the days leading up to the race I watched a handful of old Ironman World Championship DVDs. Those made me cry worse than any chick flick! 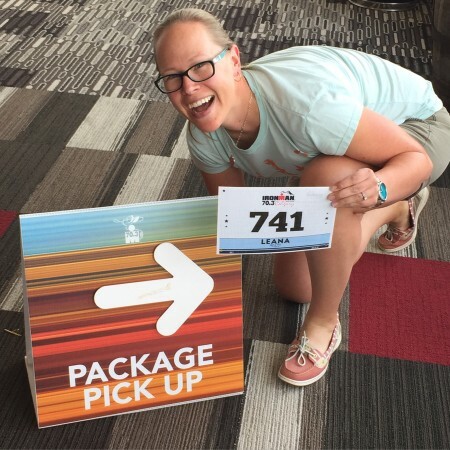 I went down to the expo on Friday afternoon to pick up my race packet and scope out the race gear they had for sale. The expo was much smaller than I was expecting. There were no other retailers there, other than the people selling the official race gear. I thought perhaps there would be more of an option to buy gels or various things for your bike? I was also hoping that there would be race branded water bottles, hats and visors for sale. 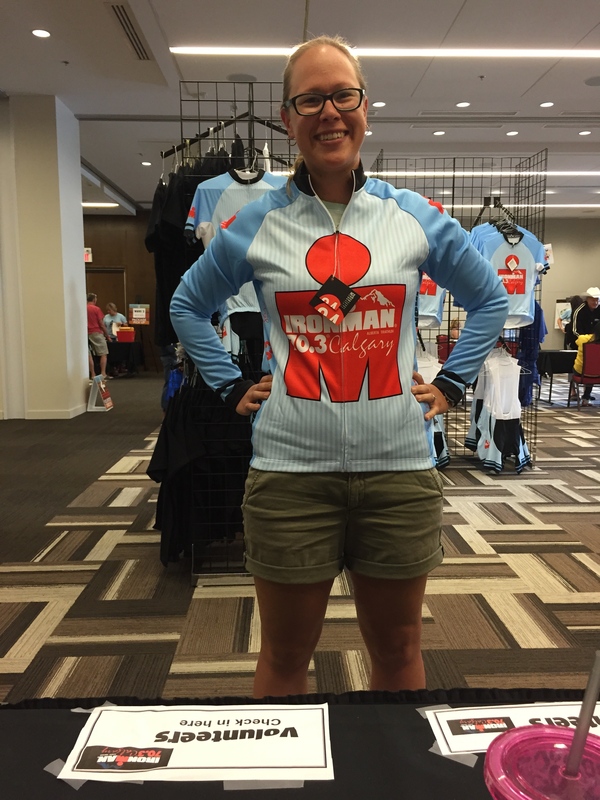 There was the official race kit (tri shorts, tri top, bike short, bike jersey and jacket) and a few cotton shirts (men’s only, no women’s specific shirts). I liked the jacket but in the end I decided to just purchase a beer mug. Like I said, if they had water bottles and visors I would have bought a few more things! The race packet itself was also a little disappointing. Two years ago when I did the relay I remember everyone getting a sling bag. This year we got a manila envelope with our bib and our plastic transition bags in it and I’m not sure if this is comparable to what other IM 70.3 branded races are doing. 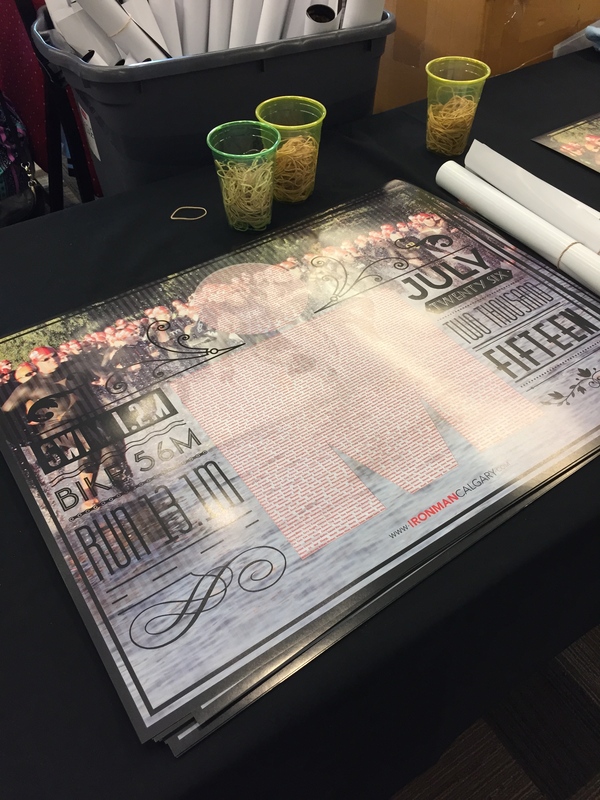 We did get a really nice poster with all of the racer’s names in the MDot. 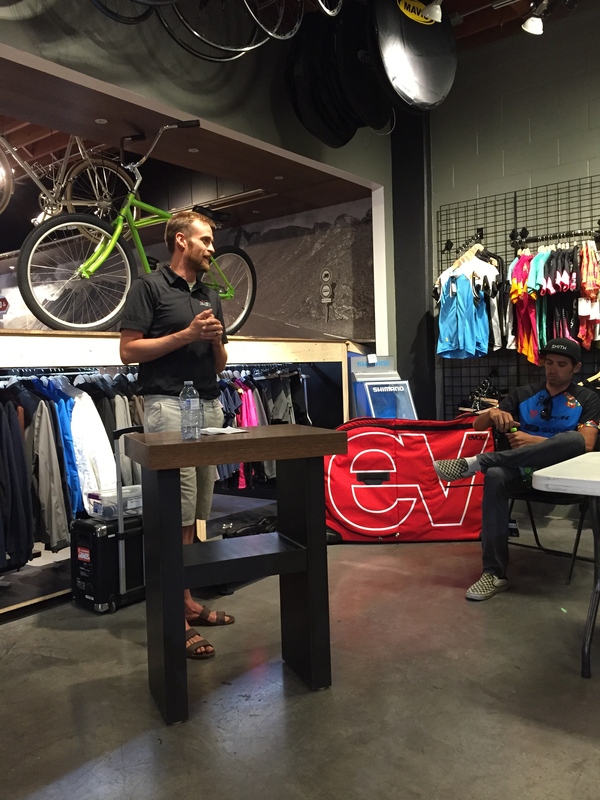 I attended the athlete meeting to get the low down on the race logistics and a refresher on the rules, then I headed off to Speed Theory for a Q&A with a few of the pros who would be racing. 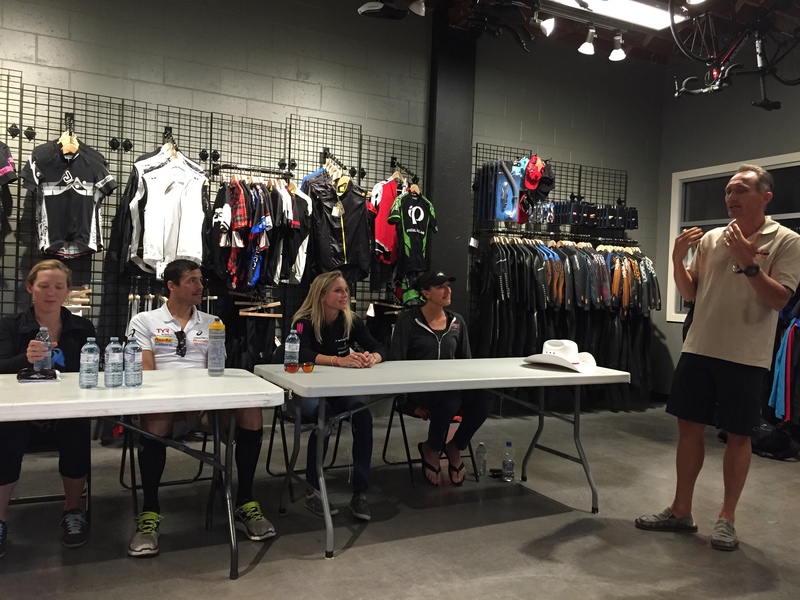 The panel included Andy Potts, Justin Metzler, Matt Lieto, Magali Tisseyre, Alicia Kaye and Lauren Brandon. It isn’t every day that you get to listen to the pros talk so this was a really cool event! 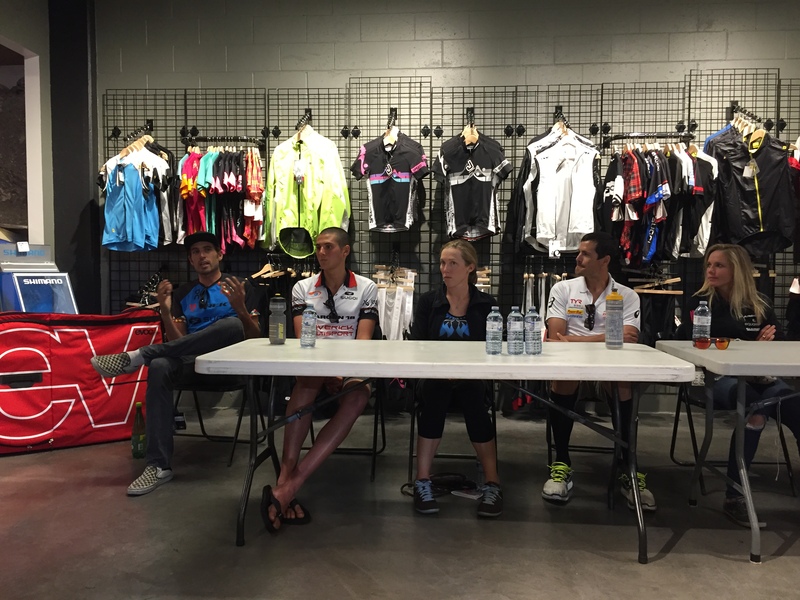 They shared their insight and a few words of wisdom on racing and training. A few of my favourite tips? Alicia Kaye also shared that when things get hard on race day she focuses on just that very small part of the race that she is in at that moment. Get to the next lampost…don’t think about how far you have to go to the finish. Many thanks to the pros who took time out of their schedule to come and talk with us! 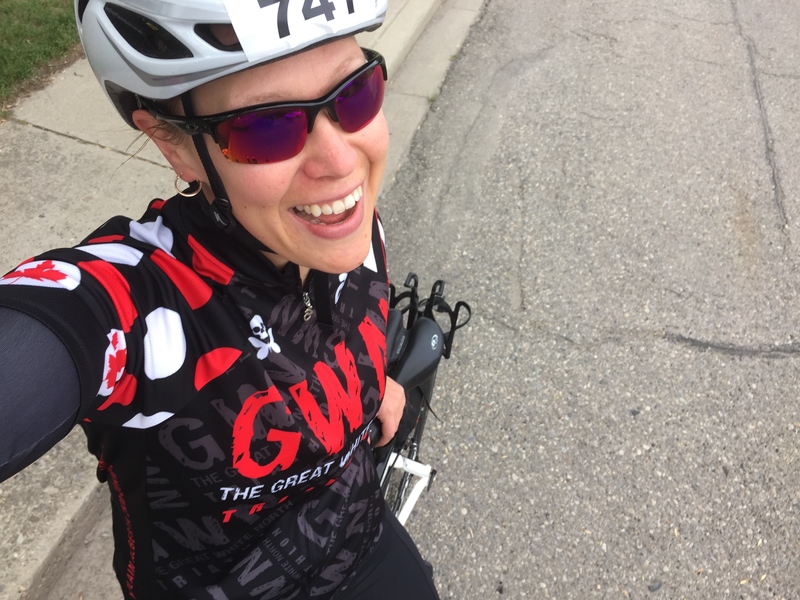 I was up early on Saturday morning to give my bike a final clean, then went out for a super quick ride to run through all my gears to make sure everything was working ok. 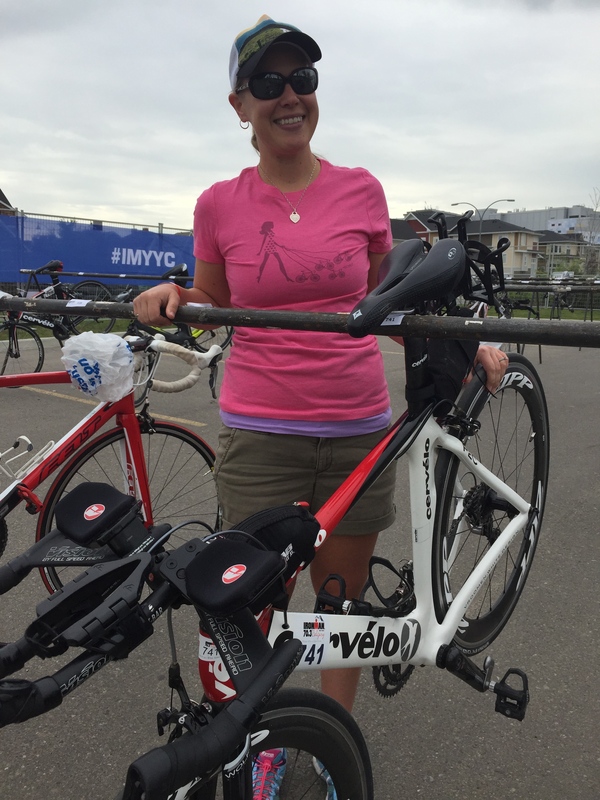 I then headed off to Auburn Bay to drop off my bike and my bag for T2. I had a few friends volunteering at bike check in so it was really nice to say hello and get some hugs! The nerves were starting to set in, but I did my best to remind myself that I was ready. I tried to watch funny movies and I reread my race plan to make sure I knew what I had planned to do. Up soon…the race! 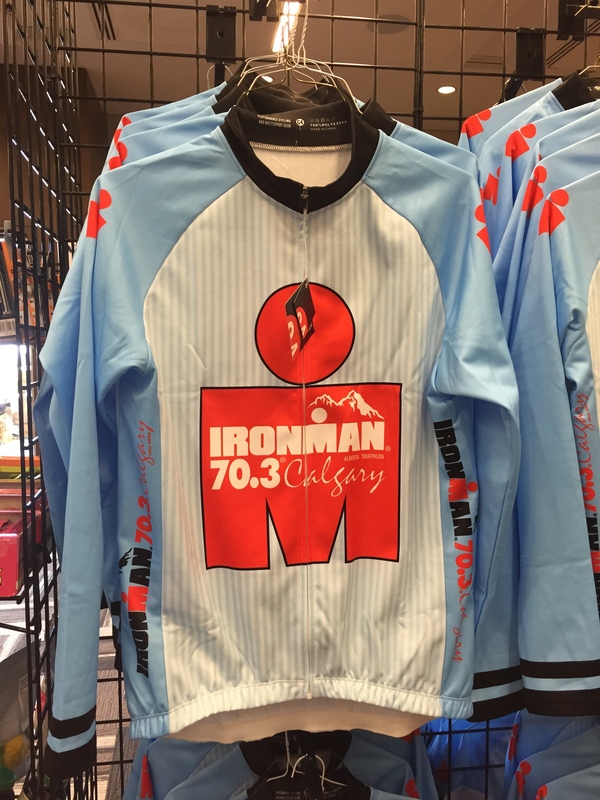 *While I’ve mentioned a few spots where I feel like the race may not have been on par with other Ironman branded races I feel like it is really important to point out how great I think the entire Ironman Calgary team did overall. Whoever handled their social media was very prompt about answering any questions leading up to race day. They also handled communication to the athletes regarding a very sad incident at Auburn Bay on Friday evening with the utmost class, heart and delicacy. 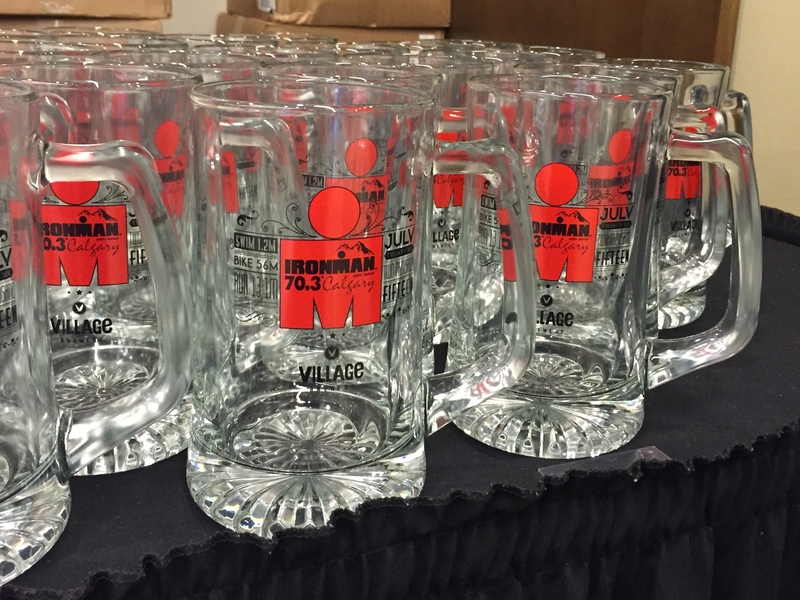 Many thanks to Paul Anderson, the race founder, and everyone on the Calgary Ironman team for your very hard work. 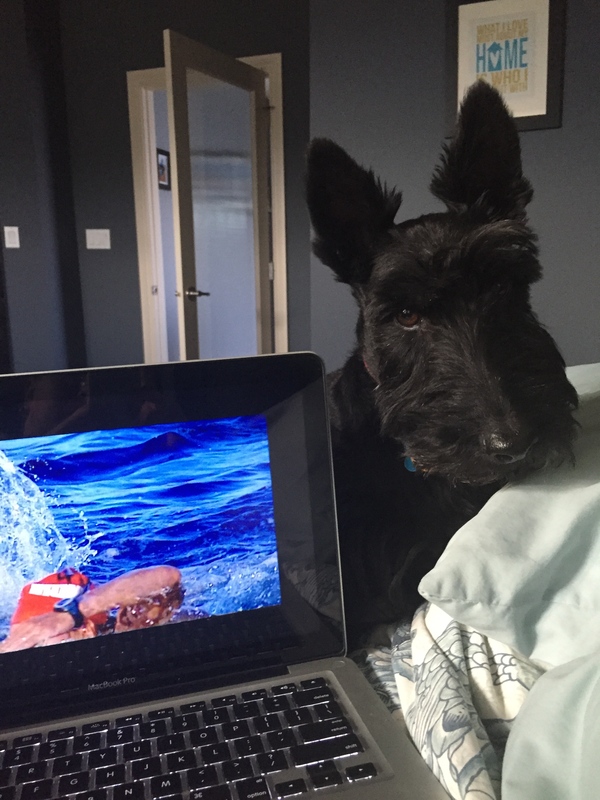 I do swim as long as I can in the water because as you mentioned, I get tired running in the water. I am less likely to step on something sharp and painful too. I agree with you that these events give a lot less swag then in the past, but still charge us a lot of money. The old World Ironman Championships are great but the recent ones don’t do to much for me- Blazeman, Scott Rigsby, Sister Madonna Buder, the Hoyt’s, are all very inspirational people and also make me cry. I have one book I always pull out that has inspirational snippets of peoples stories as they train for an compete in Ironman events, if I have time to read, that helps put everything into perspective for me, as well. Another tip I use is to listen to some stories as well, as I taper. These I have borrowed successfully at the library- Hoyt’s, Scott Rigsby, Sister Madonna Buder are all great for motivation- I have read them too. That’s too bad that the race wasn’t as good as you were expecting. When you pay for an Ironman race (which I assume is expensive) you do sort of expect certain things. 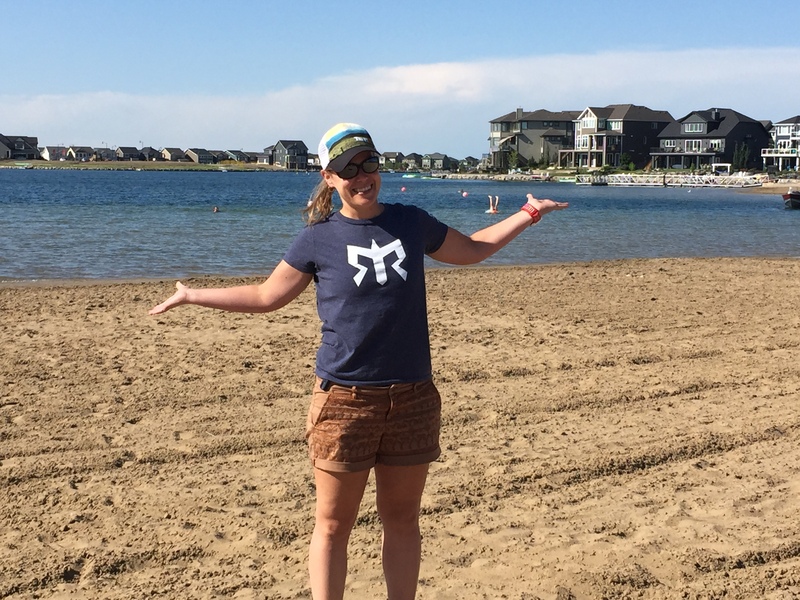 I followed along as best as I could after what happened on Friday and I think the team handled that very well, but it does sound like there was quite a bit of confusion during the swim and I’m always bummed out when swag is lacking – especially for an Ironman!